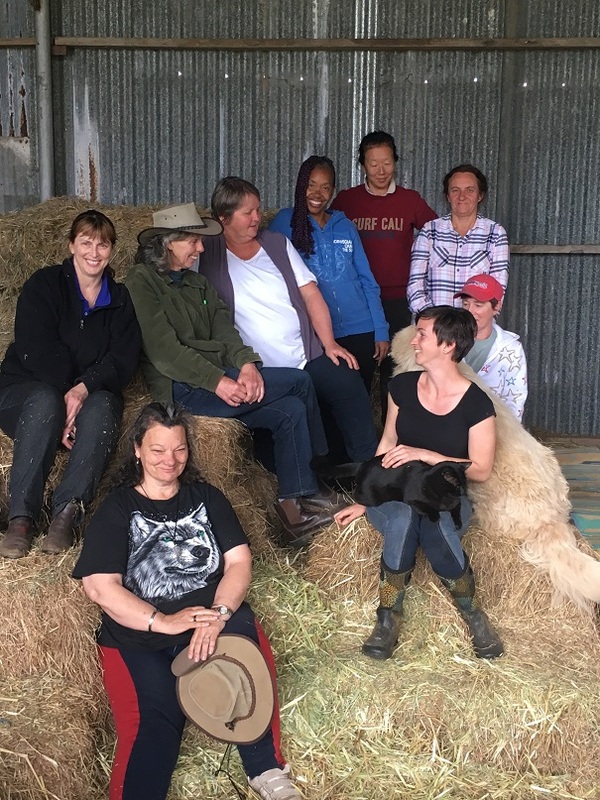 Sue wants to share Mr Pete’s story in the hope that it will save someone else from the heartbreak of thinking that they need to “get rid of that horse”. 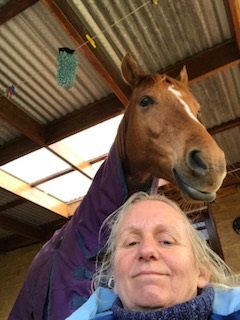 Sue wrote: “I have spent 16 months just trying to get back into riding and all I have done is spent 1000′ s of dollars and haven’t got anywhere, just got worse. My only hope is that I still have Pete and hopefully we can work through this together”. Sue started with the free lessons The 9 Keys to Happiness with Your Horse, liked our gentle and incredibly horse centred approach here and then started on Fast Track to Brilliant Riding a few months ago. 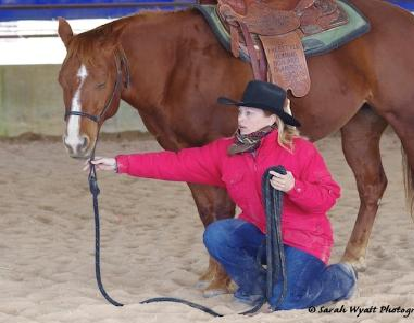 With that program and some email support and encouragement and one live conversation, she made these extraordinary changes with her riding ability and confidence and with this supposedly dangerous horse. Sue: Hi Jenny I’m loving the fast track yeah it’s going good. Petes going really well. We’re getting out of the round yard slowly, done some trotting, he feels very free and lovely and soft and my seat is pretty good. I do get tense sometimes but I just do a quiet mind on myself while on him and it gets better, still working with it. Pete is a very patient horse for his age takes it in his stride he likes being out of the round yard . We can do all our transitions pretty well now. A lot of the time I just think Trot and squeeze and off he goes. Since I spoke to you the other day we had a bit of a moment where our connection has clicked. I think it was more me self doubting. The last couple of days he has just gone in leaps and bounds doing everything I ask – backing back, side passes which I had taught him in the ground but it’s like he’s just clicked and gone “I know what you want” and the more I visualise it, the more it works. Still taking it very slowly, just working in my paddock now which is like 10 acres with bush in it so it’s perfect for trial riding exposure. Jenny: For background to this next bit – Mr Pete’s companion died recently and then he was alone. In this photo, Mr Pete was listening to Sue’s partner playing his guitar. Sue: I have to tell you something that really blew me away. Every night I do a quiet mind before I go to bed and the last 4 nights Pete has being standing at my bedroom window (he has access to the house) so when I put on the meditation he can hear it. The first night I just kept thinking I wish he would lay down and sleep as he’s on his own and I worry he doesn’t lay down being on his own. Well next minute he whinnys to me and I jump out of bed to see what’s wrong and he’s laying down. It was so beautiful I nearly cried. Hi Jenny I just wanted to let you know your seminar on talking to the animals was awesome . Look I will be honest I’m not sure if I’m getting it but today I’m sure Pete and I had a conversion like a real conversation it’ just seemed crazy. Am I imagining all this or have I finally tapped into it? It seemed too easy, it just happened. It was like he was yelling at me and I had this voice in my head telling me all this stuff and he was so thankful that I was finally listening. I thought to myself, if this is real can you turn and face me? And he did. I felt and still feel so emotionally overwhelmed with love from him. It made me cry. Sue: Hi Jenny just wanted to let you know I need to share my excitement with someone. I have taken Pete for his second ride out in the bush all I can say he’s incredible, so relaxed . It’s blowing a gale here and nothing has bothered him. He does everything I ask. I found today if he does get stressed, I go straight into my quiet mind and bang he just relaxes and goes with the flow. I just want to say Thankyou I’m so grateful to have found you. You have changed my life with horses I feel and see things so different now I just can’t wait to go riding and he is the same. I do a quiet mind lesson with him every time we ride I’m sure that gets us both set for a ride. He’s definitely a gem. I don’t know what the trainer did but he doesn’t even think about shying . I’ve had goannas and kangaroos jump out and it doesn’t faze him. Jenny: Well I know what the trainer did with him that turned him into a shying, spooking wreck. She went too fast, didn’t have any consideration for his confusion, for his lack of understanding what she was asking him, or consideration for his fear and anxiety, so it all built up until he was exploding in spookiness. AND this horse is a natural Caretaker. So many trainers stuff up Caretakers, because they slow down or stop when they are afraid or confused OR when they sense that YOU are afraid or confused! They slow down to look after YOU. And then people beat them or spur them forwards until they lose their ability to look after people like Mr Pete had lost because of the trainer’s handling. It’s so darned unnecessary! And so are most other behavioral reasons for selling a horse. 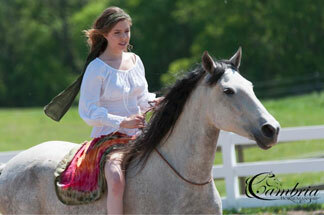 Every single problem you have with a horse is an opportunity for a deeper bond – when you solve it right. And 9 times out of 10, solving it right just takes love, a willingness to approach things differently and a bit of knowledge. Einstein said that you can’t solve a problem with the same mindset that created it. (My paraphrasing! 🙂 ) And it’s exactly the same with horses. You cannot solve a horse behavior problem with the same kind of thinking or force that created the problem in the first place. Most people are seriously surprised at how easy it is to fix problems when you know how. So email me if you have a horse problem and we’ll have a chat about a different way to approach a solution. Then they hit what looked like a big road block. Mr Pete started displaying some stallion like behavior that was quite intimidating and they had to stop for a few weeks. 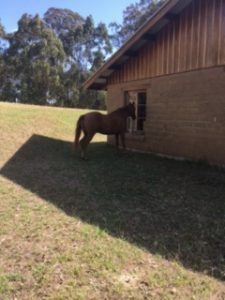 Sue, (another Sue on staff here) got the communication that he was desperately in need of a horse companion again after his previous companion had died. So Sue (Mr Pete’s owner) put out for and found the perfect mare companion who has sorted out all that young horse behavior in her very matter of fact way and now they’re all beautifully back on track again. 2. Da da! drum roll! We’re running a new expanded version of the live Happiness course after the brilliant success of last year’s program. We had astounding results with depression, relationship and family issues, grief, overwhelming sensitivity, practical abundance, accessing your inner wisdom, understanding our feelings – all stuff that I’ll talk about later – I’m on holiday now! 🙂 This new program is expanded to all animals capable of being therapy animals, not just horses. “Practical Happiness for Animal Lovers” is poised to make an enormous difference in the world. So stay tuned! Well, I’ve been thinking…. I guess you heard the noise? Oh Di… sooo very true. It’s getting their ABILITY to look after us to match their DESIRE to look after us. Sorry June, what do you mean? How utterly wonderful for both of you that you have both the communication and the understanding and the heart to “hear” him. You’re welcome Sue. As you can see, it’s a story that is touching people’s hearts. I have been so proud for you both! And it’s only a few months since you ditched the trainer isn’t it? Not only can you do the Quiet Mind work and make sure that the decision is the right one for Chase now, you can also stay in touch with him with the connection work by distance. In fact, distance is no barrier to connection. Have you got 21 Days to a Quiet Mind? Email me and we’ll talk about how you can do that connection work from a distance. What’s with the lease thing? I’m not familiar with this as a normal way of participating with a horse.